Animal health is of utmost importance to livestock farmers. 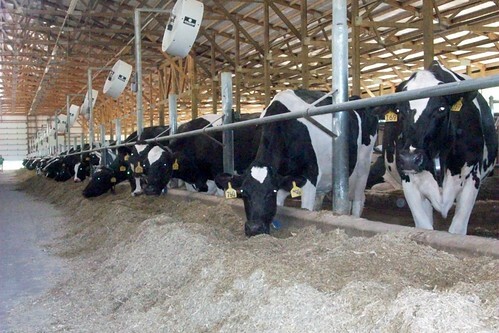 Proper animal care leads to the production of high quality milk, meat and eggs. Nutritious diets, healthy living conditions and good medical care are all essential for a healthy herd or flock, and these are among the many animal care practices routinely used by livestock farmers. Farmers live and work on their farms. It’s important to them to protect the land, water and air for their animals, their families, the surrounding communities and future generations. Farmers and food companies take food safety very seriously. America’s food supply is among the safest and most highly regulated in the world. Farming is more than milk, meat, eggs and crops. It’s jobs and economic activity for the people of our country. U.S. farms contribute to the local economy by supporting local businesses and the community tax base. Farmers work hard every day to bring you fresh, great-tasting, wholesome food. Almost all farms in the United States are family-owned. As active members of their communities, farm families take pride in maintaining natural resources. That means preserving the land where they live and work, protecting the air and water they share with neighbors, and providing the best care for their livestock.